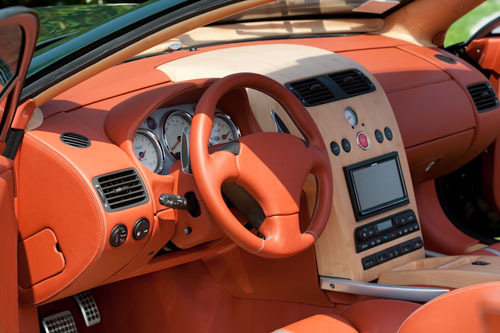 Remember the Aston Martin ‘EG’ shooting brake we featured a while ago? Recently its proud designer gave us all the official pictures and design sketches of the car. 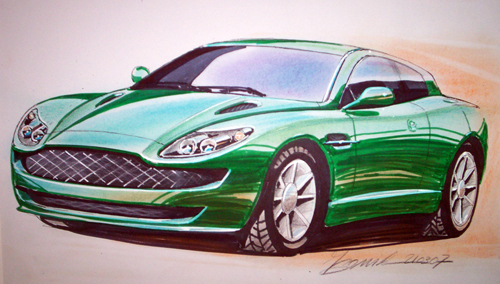 Francesco Boniolo (pictured) of the design house with the same name designed the Vanquish based Aston Martin ‘EG’ in 2007 on behalf of a customer who wished to remain anonymous, but who lended his initials to the car. Boniolo commissioned ‘Quality Cars’ in nearby Vigonza to actually build the car. They lengthened the Vanquish-base and used a steel tube frame to cloth with aluminium. 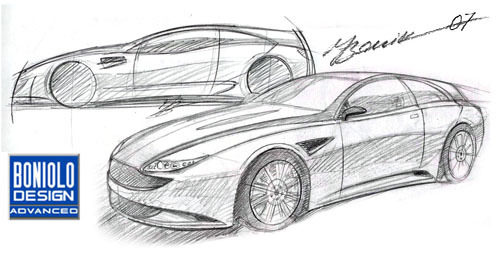 The result – as you can see from these pictures and sketches we were kindly send by Francesco Boniolo – is a remarkable shooting brake with suicide doors and huge tailgate. 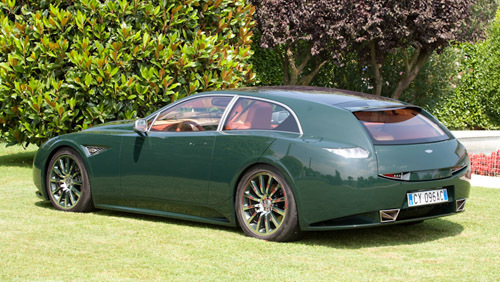 Click here for the Boniolo Gallery and see more images of this Special Aston Martin Shooting Brake.